When it comes to enhancing the look of a modern home, custom designed cabinets become an integral part. They can be used in any part of your home, especially the kitchen and the bathroom. Basically, wherever there is a need to make storage easier, these cabinets become extremely useful. Customizing cabinets has become a new trend over the years because they don’t only serve the purpose of solving the problem of storage, but they also enhance the beauty of the space. 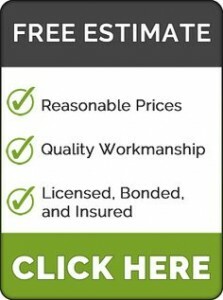 Custom made cabinets can get quite expensive, but if you hire a local cabinet maker, you will be able to make your rooms look more appealing without paying too much. However, finding a local cabinet maker who can actually work according to your needs can be daunting. But, you can use certain steps to ensure that you find the right guy and also at an affordable cost. Hunting impulsively can land you in a situation where you will have to shell out huge amounts of money. So it is essential to take out time and do your search. Your local cabinet maker must have good experience in building custom made cabinets. Based on your search, you can list down the good cabinet makers in your area and choose one based on their skills, experience and feedback from the previous customers.